Three ships loaded with 350 tonnes of food were also set to leave an Iranian port for Qatar. THERAN: Iran has sent five planes of food to Qatar, Iran's national carrier told AFP on Sunday, days after Gulf countries cut off air and other transport links to the emirate. "So far five planes carrying perishable food items such as fruit and vegetables have been sent to Qatar, each carrying around 90 tonnes of cargo, while another plane will be sent today," Iran Air spokesman Shahrokh Noushabadi said. "We will continue deliveries as long as there is demand" from Qatar, Noushabadi added, without mentioning if these deliveries were exports or aid. Three ships loaded with 350 tonnes of food were also set to leave an Iranian port for Qatar, the Tasnim news agency quoted a local official as saying. The port of Dayyer is Iran's closest port to Qatar. In the biggest diplomatic crisis in the region in years, Saudi Arabia, Bahrain and the United Arab Emirates, plus Egypt and Yemen, on Monday announced they were cutting all ties with Qatar, accusing it of supporting extremism. 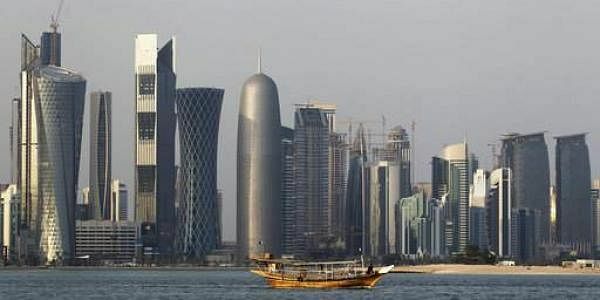 The Islamic republic has also opened its airspace to about 100 more Qatari flights a day, after Saudi Arabia, Bahrain and the United Arab Emirates banned Qatari planes from their airpace. The new flights have increased Iranian air traffic by 17 percent, the official state news agency has reported.